A while back we took a look at some memory from Aeneon, from the Xtune series that is based on the Qimonda memory chips, the Xtune DDR3-1333 (Reviewed Here). Today we are going to take a look at Crucial Ballistix DDR3 PC3-12800 (DDR3-1600) and will see how the two compare. 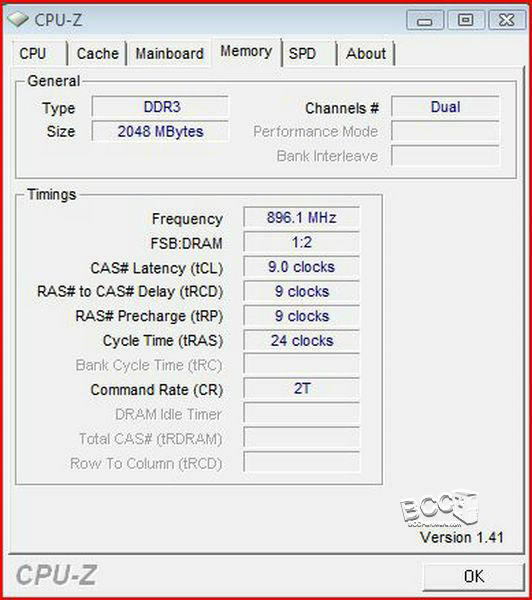 The Crucial Ballistix DDR3 line uses the Micron memory modules, and it will be very interesting to see how the two compare. My first impression of this memory was pretty much the same as most other memory, it looks very similar to most others and features pretty standard heatspreaders. In this section we will have the setup of the system for our testing. 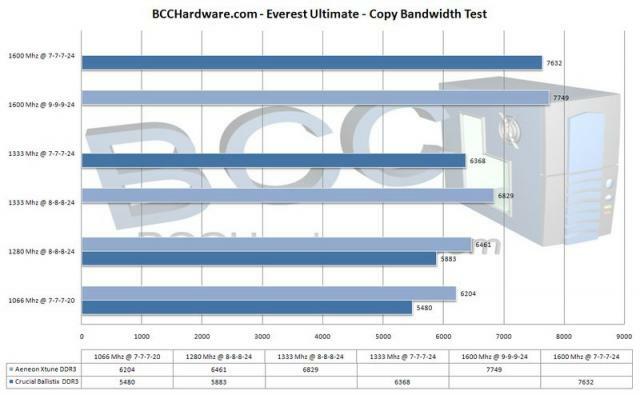 I have provided separate configurations for each of the speeds we have tested (1066, 1280, 1333, 1600, 1700 and 1792 Mhz). It is important to note that in order to achieve some of these speeds we have tested this memory kit at, it required overclocking the FSB, which in turn increases our CPU clock speeds. 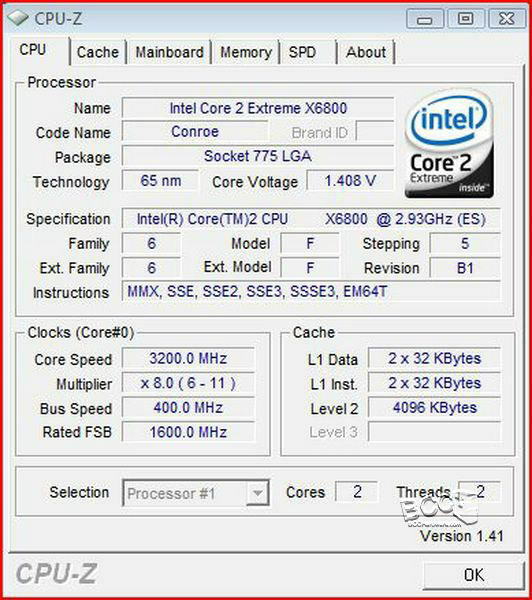 For all my testing I allowed the Asus Maximus Extreme motherboard to determine the timings that each test was run at. 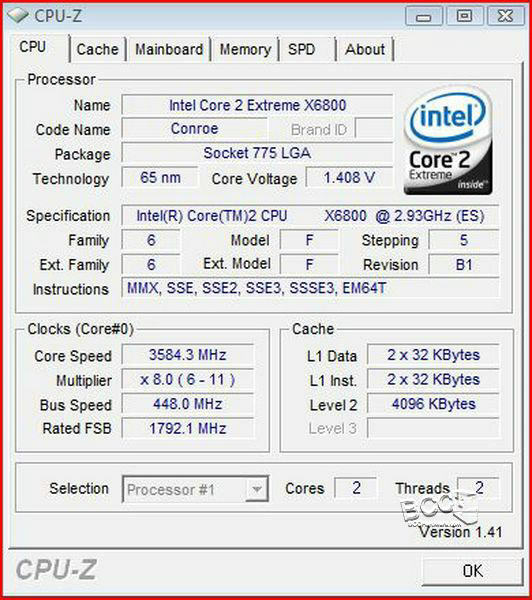 For 1066 Mhz testing the CPU is left at stock speeds, and the memory is set at 7-7-7-20 timings. For the 1280 Mhz testing I have included two sets of screenshots, one with 7-7-7-20 and the other at 8-8-8-24 timings. This is the default speeds for this memory at 8-8-8-24 timings, but we were able to drop the timings down to 7-7-7-24 for a little extra performance. I have included screenshots from both test setups. This next pair of screenshots is at 1700 Mhz, and now we are able to see this memory performing above its stock speeds. 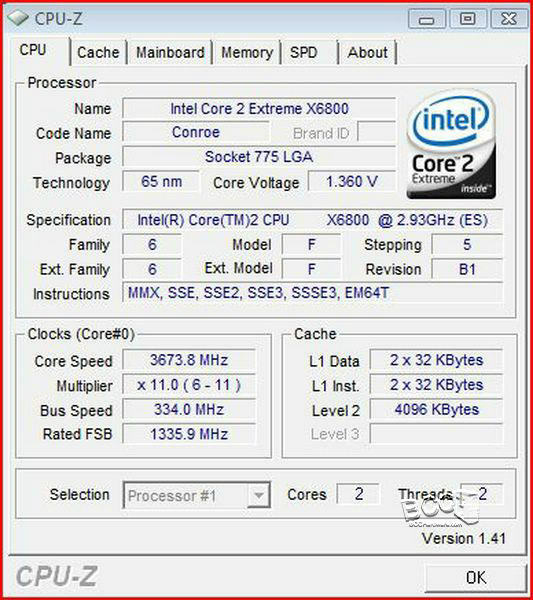 1700 Mhz is quite decent for memory speeds and was easily hit with this memory kit. I was very interested to see how this memory was going to perform, and also very interested to see how it would compare to some other DDR3 that we've looked at. In order to run this memory at stock speeds it will require a bit of an overclock on our CPU, but I've also included a few test numbers from speeds that are running below the Crucial Ballistix "stock" speeds to see how it peforms in other situations. 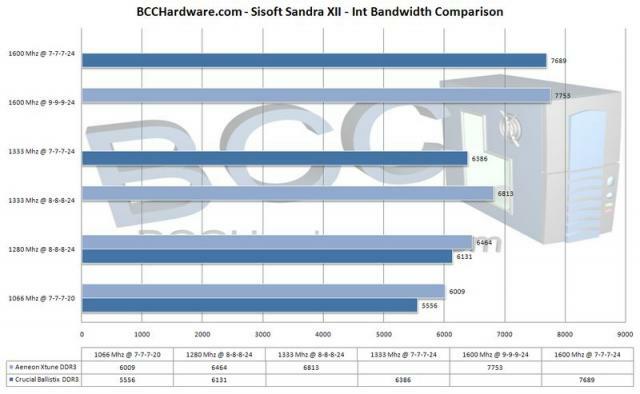 The results are very decent in the Sisoft Sandra testing, and the memory bandwidth continues to increase as the Mhz is increased. 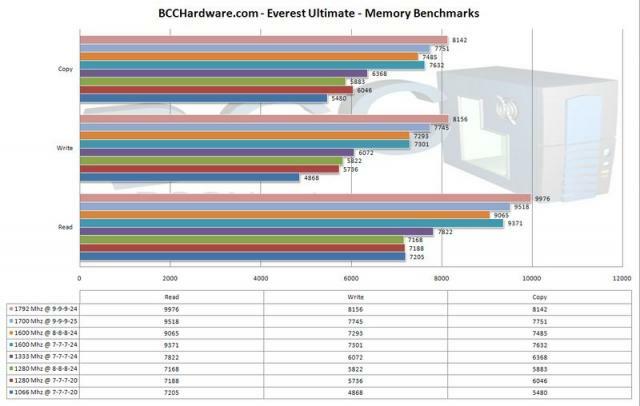 It's interesting to see how the tighter timings increased performance at 1600 Mhz and 1280 Mhz. The Everest Ultimate results were very similar to the Sisoft results, and as you can see in the Read tests at speeds of 1792 Mhz we were almost able to break 10k, and with a little more tweaking it should be not problem to break 10k. I was very interested to see how the two types of memory would compare against each other. The timings of the two kits of memory are a bit different at stock speeds, but for our testing we have kept the timings and CPU speeds the same for comparison purposes. The final scores are going to be a bit different between the two kits seeing as the Aeneon is using Qimonda memory modules, while the Crucial Ballistix is based on Micron modules. As you can see in the above charts from Sisoft Sandra, the Aeneon memory was able to score higher in the lower tests, but as the speeds increased the Crucial was able to close the gap a little. As you can also see the Crucial was able to run much tighter timings at 1600 Mhz speeds, and with these timings it was able to come very close and even ahead of the Aeneon memory. 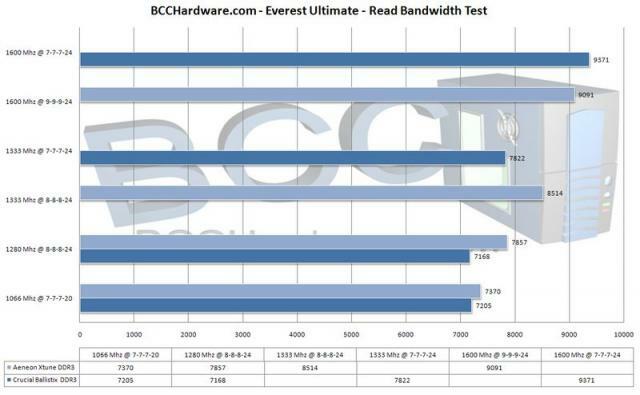 I am expecting the results from Everest Ultimate to be very similar to the Sisoft Sandra testing, but it will also be interesting to see how the memory compares to each other in categories such as Read, Write and Copy. Once again after all our testing the conclusion was very similar to the Sisoft testing. At lower speeds the Aeneon was able to outperform the Crucial, but once the speeds reached 1600 Mhz the scores became very similar as the Crucial was able to run tighter timings and the peformance was very close between the two kits of memory. 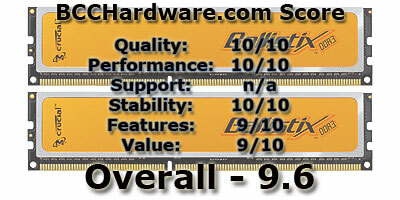 With DDR3 becoming more and more popular, there are starting to be more and more choices in the DDR3 market. 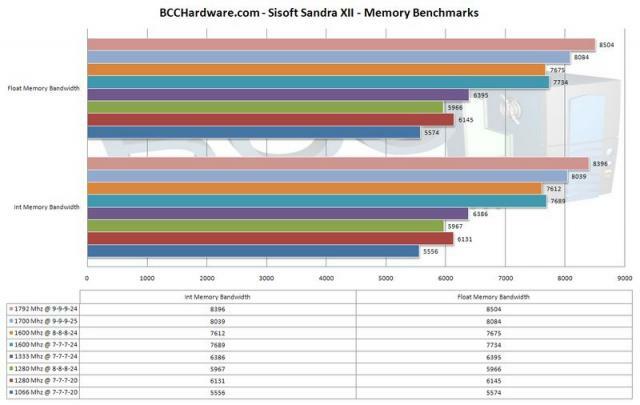 Crucial has been a leader in the memory market, and it was very interesting to see how their DDR3 memory performed. This Ballistix kit of memory was very stable, and even while overclocking I found it to be very stable. In all my testing I have left the voltages stock (1.8v) and was able to increase it from stock speeds of 1600 Mhz to 1792 Mhz without much effort. 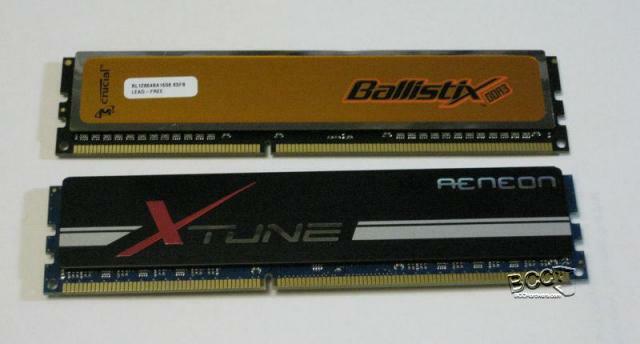 The performance of the Ballistix was very respectable, however in the lower speeds the Aeneon memory that I compared it against was able to outperform it with identical speeds and timings. At speeds of 1600 Mhz and above I found the Crucial to be able to come very close in performance numbers, and thanks to the Crucial Ballistix's ability to run much tighter timings then the Aeneon kit, I found the performance numbers to be extremely close. At the end of the day I was very happy with the Crucial Ballistix memory kit that I tested, it ran extremely stable, and was able to run at some great timings, and if you're looking for a good kit of DDR3 memory that is able to overclock easily and give you some extreme performance, the Crucial Ballistix DDR3 PC3-12800 memory is a great choice. 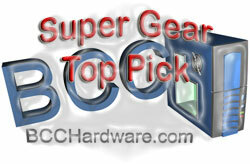 Thanks to the performance, stability and competitive value, we have awarded the Crucial Ballistix DDR3 PC3-12800 2GB kit of memory our "Top Pick" award. 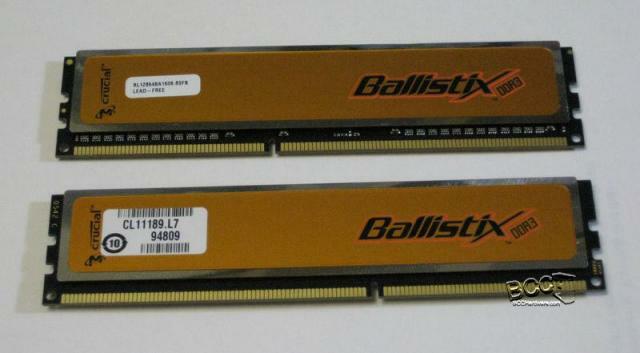 I'd like to thank Crucial for sending us their Ballistix DDR3 Memory. If you have any questions, comments, or general feedback, please leave it at the "Comments" link below.